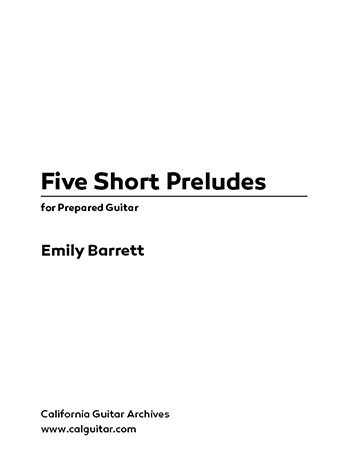 A varied set of pieces that form an ideal introduction to solo prepared guitar. A complete preparation diagram is included. All five works are presented in tablature with rhythms indicated using traditional notation.